Another complete surprise from the folks at Musea! Broguière is a young composer and musician from Paris, and Brocéliande is his debut album — a very strong entry for a new musician who shows exceptional promise for the future. An instrumental concept album based loosely around an alternate take of the King Arthur / Merlin the Magician story, the music here is quite powerful and certainly speaks for itself, story or no story. 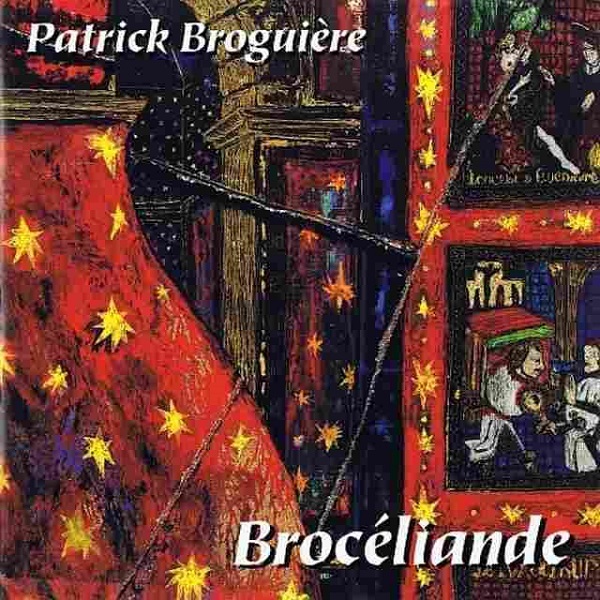 Broguière plays synthesizers, piano, guitars, and flute, with some sequencing, sampling, and generally superb drum programming. No other musicians are credited. The album's twelve individual tracks offer unique strength and sensitivity, often grown around simple developing themes that build and recur, with plenty of attention given to colorful melodies and majestic grandeur. At times one might be reminded of the early work of Mike Oldfield circa Ommadawn, and in fact at one point ("Chanson de Viviane") when Broguière dons his axe (something he doesn't do nearly enough) you'd almost swear it's some long-lost Oldfield out-take. This is the same track where he uses flute to gate a synth sampling a female voice, a haunting effect that will send shivers through your spine. Electronics and atmospherics play a big part here too, perhaps a bit of the Wakeman influence, Lanz & Speer, or Brain Laughter's In the Land of Power, all subjected to that uniquely romantic French symphonic perspective. In all, Brocéliande is a stunning debut.